After our camping weekend was cut short by Hurricane Irene, our group quickly packed up our cars and went to divvying up the leftover food. Excess Cheez Its, marshmallows, dried fruit and nut mix, and a bucket of cheese balls went fast. However, the produce didn’t draw as much enthusiasm. 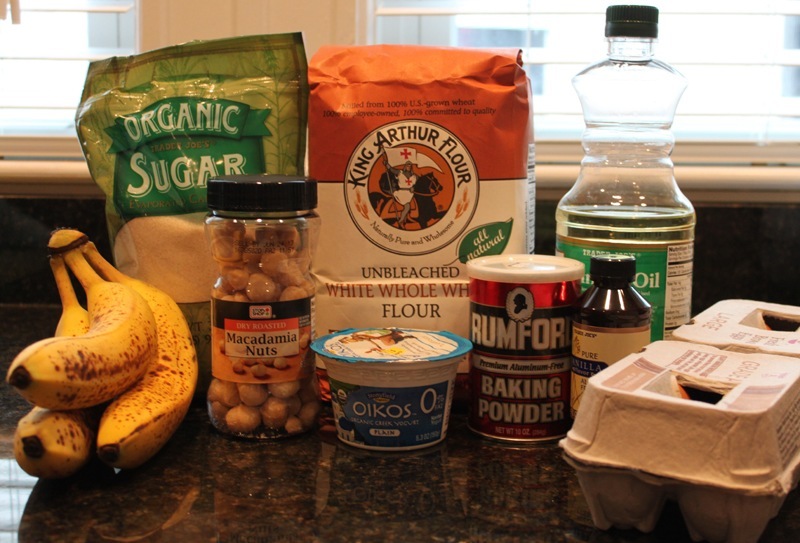 But then the leftover bananas were up for auction and I screamed “I can make banana bread out of those!!! 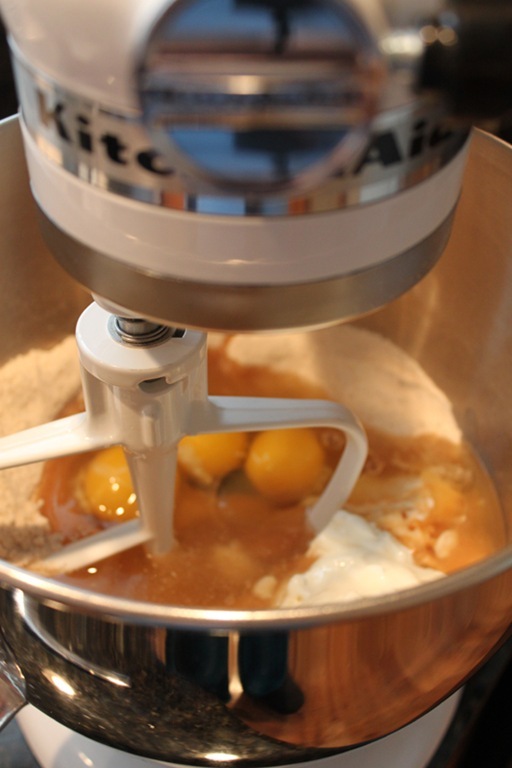 !” So we divided them up and I took 3 home and made this recipe. The End. Or rather, The Beginning. I adapted my favorite go to bread recipe for this loaf. 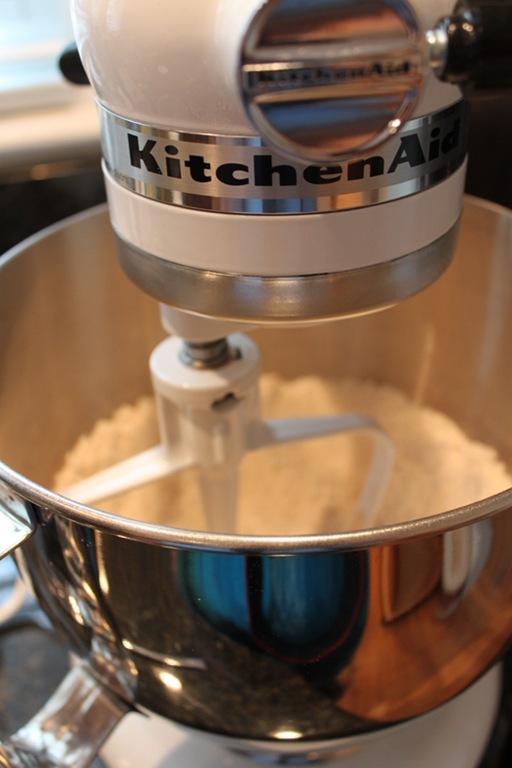 You know the drill: Combine your dry ingredients into your stand mixer…. And then incorporate in all of your wet ingredients. 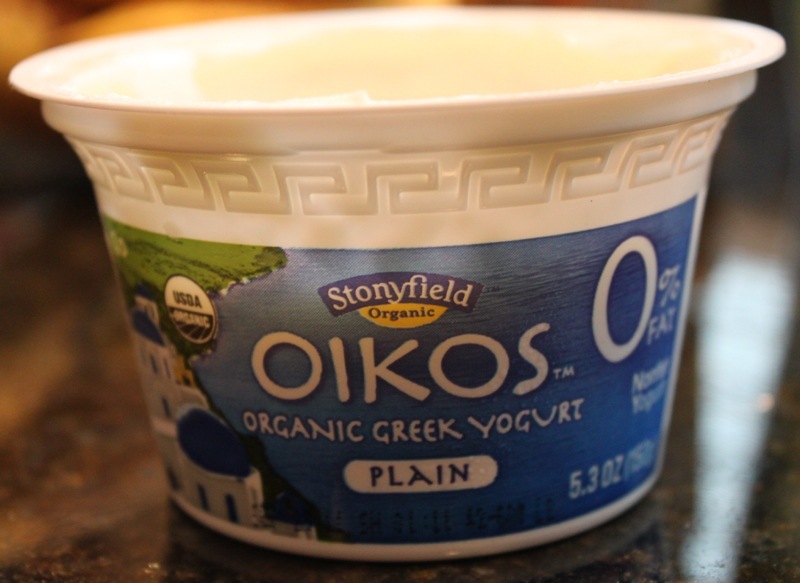 A note here: I just discovered these Oikos Organic Greek Yogurt cups. It is delicious and creamy, but also is the perfect portion of yogurt to add to the bread (about 5 oz). 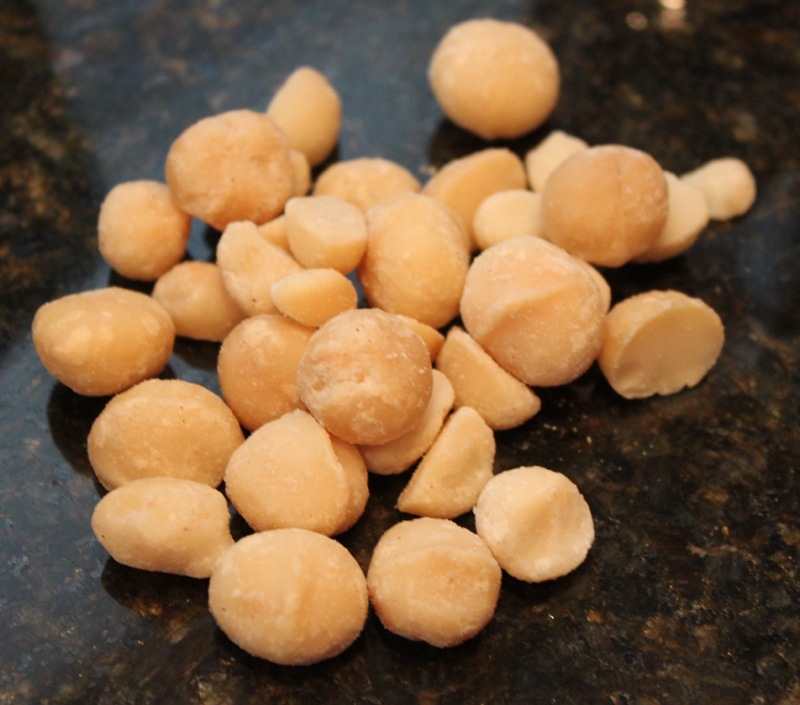 Next pulse your macadamia nuts in your food pro until they are in small pieces. You don’t want sand, just smaller pieces. 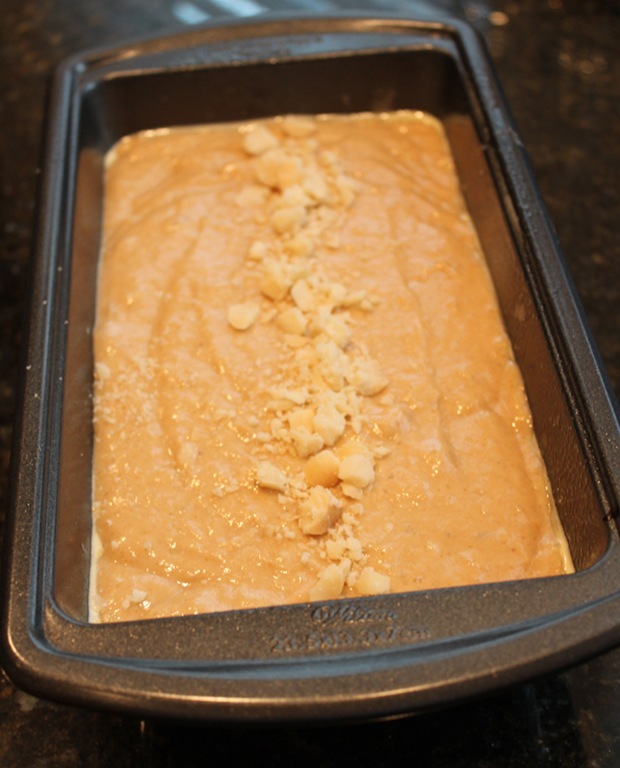 Set aside a tablespoon or so of nuts now to top the bread. 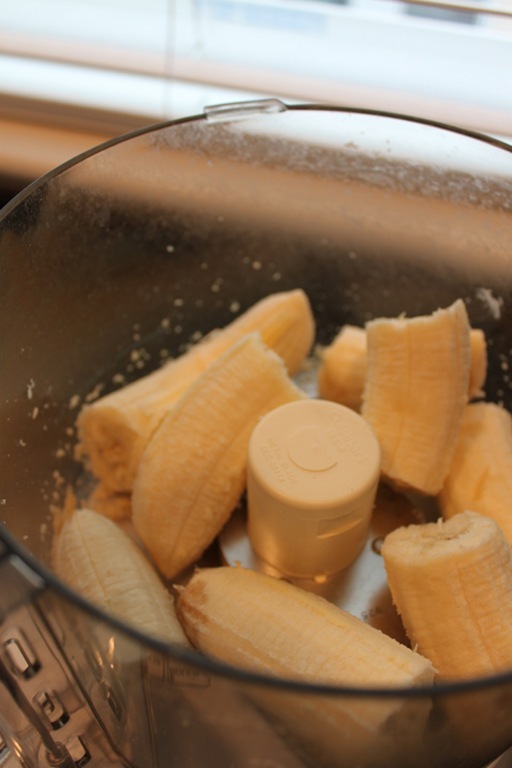 Puree your bananas in the foodpro next. 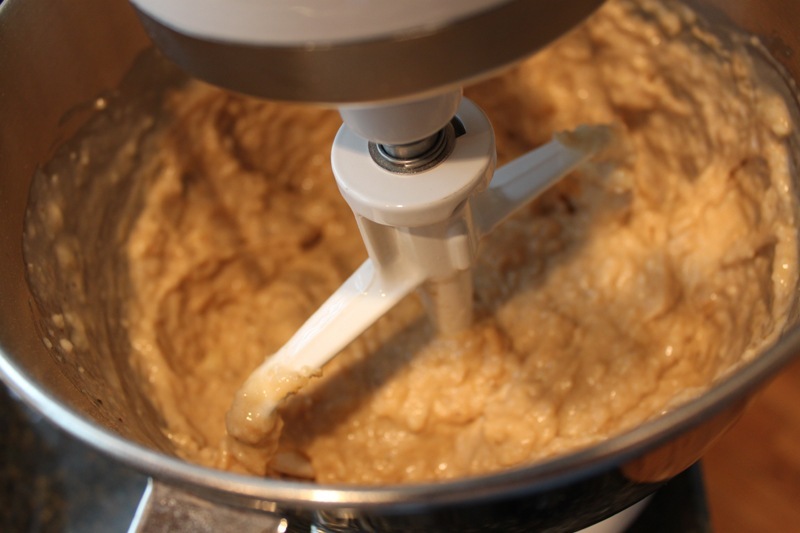 Add your nuts and bananas to your batter. 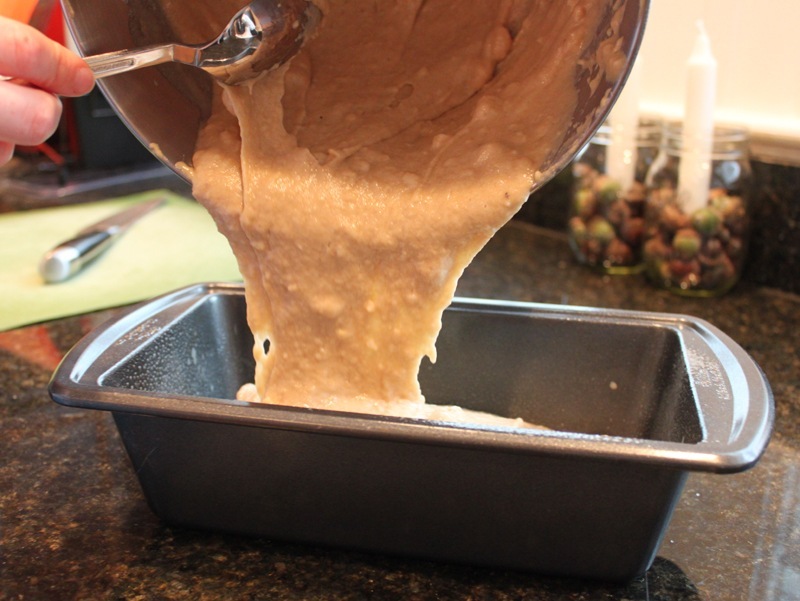 Pour batter into a greased bread loaf pan. 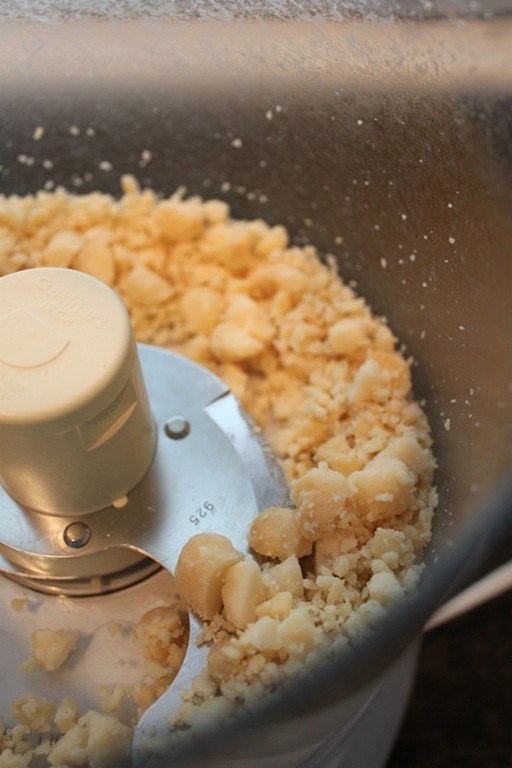 Sprinkle your nut garnish on the top. Bake on 350 degrees for an hour or so (I think my bread went for 1 hour and 15 minutes), rotating once halfway through. 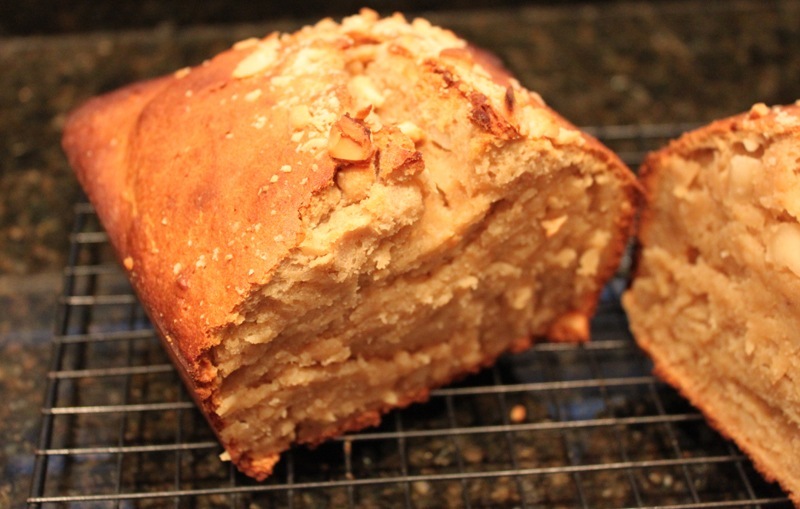 This bread is perfect for breakfast with tea. It’s slightly sweet, nicely spiced, and is the perfect amount of banana-y. Yum! 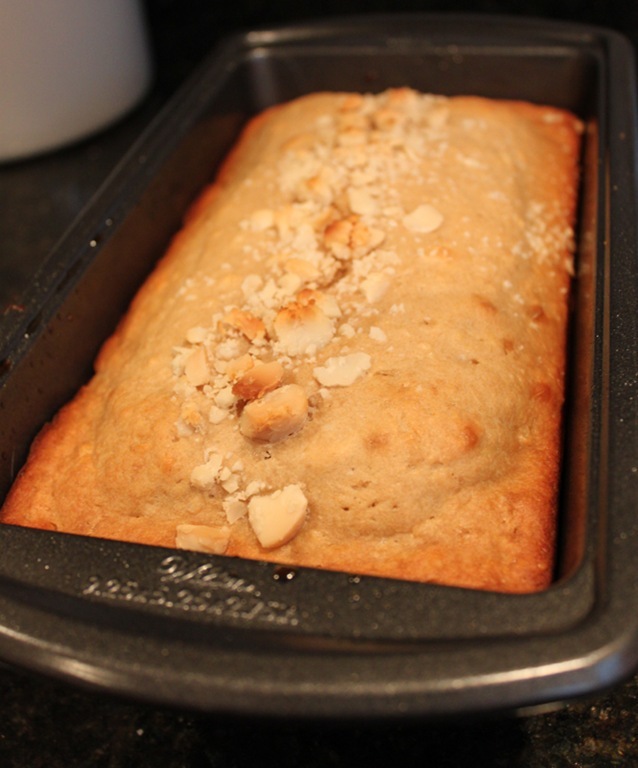 I’m sorry your camping trip was cut short, but the banana bread is a delicious consolation!